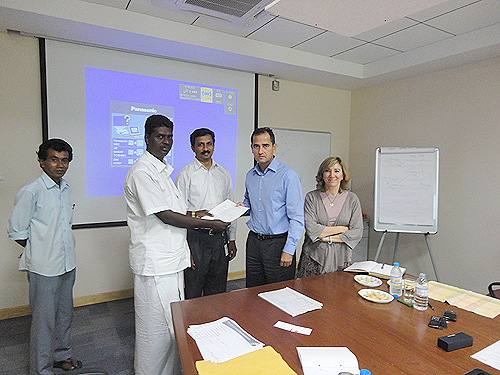 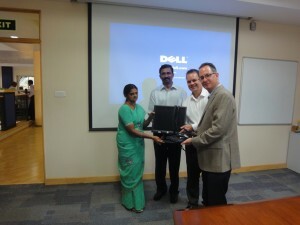 LCD TVs sponsored to the wards of Regional Cancer Centre, JIPMER Pondicherry. 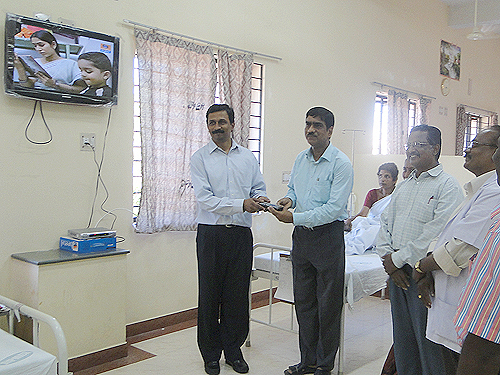 Two numbers of LCD wall mounted TVs sponsored on 18th February 2010 to Regional Cancer Centre wards in Jipmer hospital. 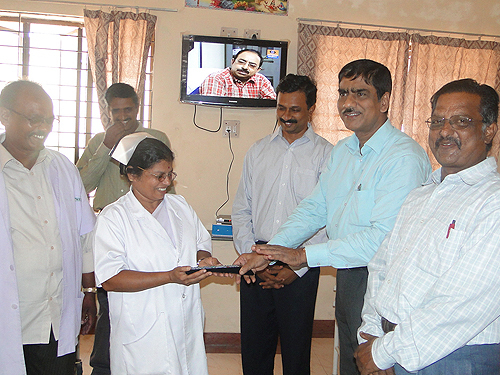 There are 80 inpatients stay for a couple of months in both male and female wards for continue treatment. 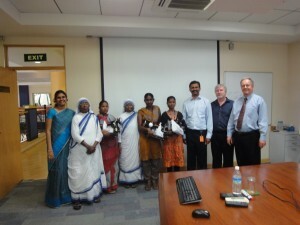 This sponsorship will help them to relieve from their pain and give them relax. 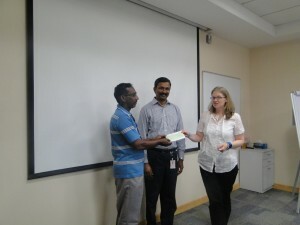 Ms. Emma Lonie from OUP-US handed over a cheque to Sri Patchayapane hearing impaired school.